Vegan, veggie, carnivore ... humanitarian? The sequel to Whyman’s brilliantly original and disturbingly funny first volume about the cannibalistic Savages... there’s something curiously endearing about this family, and Whyman builds suspense and delivers shocks with perfect timing. Best-selling Matt Whyman’s new story about the Savage family is both as hilarious and as dark as the original. The Savage family is back! Witty and well-written with an interesting new perspective on cannibalism. Awesome... a mixture of macabre family tradition, romance, cover-up family business and American lifestyle… Sounds bizarre, but Matt Whyman makes it work. I really, really highly recommend both The Savages and American Savage, whether you’re more of a contemporary fan or a fan of the macabre. Matt Whyman’s writing is really memorable and I can’t wait to read even more from him! 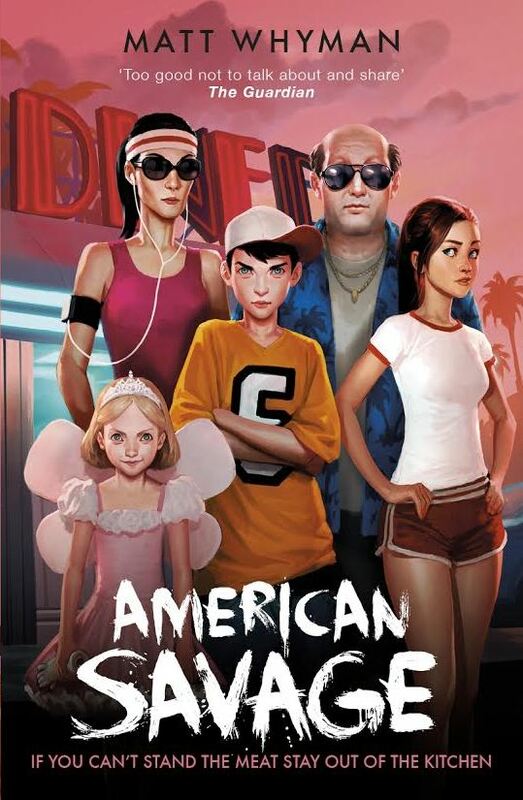 Superb writing, unique characters, macabre humour, and that even though you know you shouldn’t you kind of understand the ethical belief the Savage family have ... I could quite happily read a book about the Savage family every year. Why should teenagers have all the fun in reading about the Savages? Both of these novels ought to be crossover hits with adult readers too. I loved this sequel even more than the Savages’ first outing.